The fourth principle I am committing myself to is the action of realizing that I am responsible for my own thoughts, words and deeds, to forgive myself for transgressions and change myself to ensure I take responsibility for who, what and how I am and through this know that I can trust myself to always be honest with me and so with others. In order to change myself and become a human being that can stand as an example of a being that directs oneself according to what is best for all, I have to first get to know myself well, so that I can identify all the reasons for my abusive thoughts and behavior. This way, I can effectively remove the causes and the starting points within me, through which I create and allow abuse to exist in our world, and so change myself, my thoughts and my behavior in a way that is best for all of us. This is a process and it is done through writing. This is one of the main reasons why I am writing this blog, but I am also writing and working with my patterns in private and through working on the lessons of the Desteni'I'Process, that are designed to help one become effective in recognizing the patterns of one's mind. When we know how our own mind works and why, we empower ourselves to understand how we can change ourselves and become a better being and how to align ourselves with common sense and what is best for all. Self Forgiveness is a great tool that is helping me the most with removing my emotional reactions, traumas and 'the luggage from the past' that starts to pile up as we grow up and that we all as humans carry with us, because since now we never really realized how to remove it an simply live here in every breath. It is such a relief to have a tool like this, that enables one to start living without all the emotional burdens, habits and behavioral patterns that we know are not really beneficial to us and our bodies. We have a lot of thought, emotional and behavioral patterns that we are often not even really aware of anymore, since we are thought to automatically suppress them, instead of deal with them and resolve them. Seeing now how effective this tool is and how much I have already helped myself with it to become less self-limited, I realize that it is best for all to also teach this to our children and show everyone how we can all benefit from using it and applying it through Self Application. The most important thing in the end is always Self Application, how we apply in practice what we have realized about ourselves and the world. This is a process of practicing observing oneself and being aware of oneself in every breath, as this enables one to change one's habits in real time in the physical world. Through this we actually change for real, according to what we realized, and so we start to act in ways that do not create harm and abuse, instead we see how we can support All Life and free ourselves and those around us from misery and pain. I am applying this principle every day, even when I am not writing. 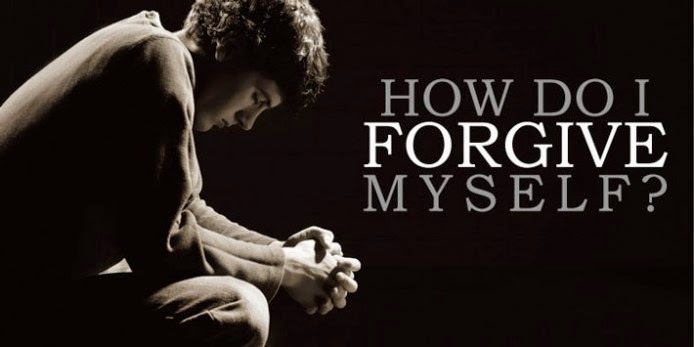 Through time and after some practice, one creates the habit of observing self in self-honesty and applying self-forgiveness on the points through which one sees one limits myself and/or creates abuse. Through this, one can make sure that the habits one develops are not just good for oneself, but most importantly, good for all Life. Because what is best for all is best for me as well.